on your phone for FREE! Meet the TfL (Transport for London) bus tracker app that is making everyone's London transport journeys easier. 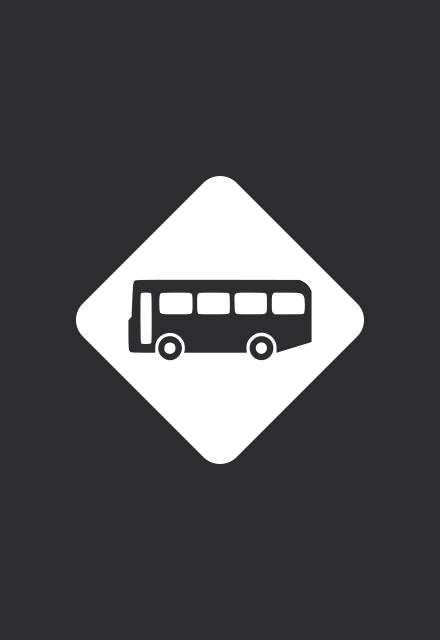 Buses Due provides live bus times and helpful transport information. Get live bus countdown times for bus stops nearby in London. 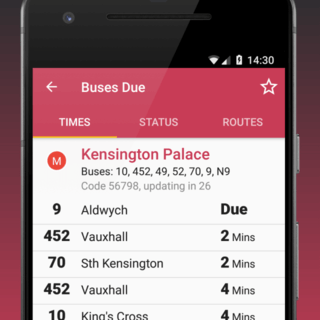 This transit app gives you accurate bus arrival times for all TfL bus stops. Save your regular routes to your favourites for fast access. Check your bus timetable before setting out to avoid waiting in the cold. Know exactly when to start your journey! Navigating around London using public transport has never been easier! Using our TfL journey planner you get the best, disruption free travel directions in advance. You can see a map of each stop along your journey. Want to know if your bus is on diversion? Open the app and check the service status for disruptions affecting bus routes served by your bus stop. Powered by Transport for London, Buses Due has been designed with a simple user interface. It will make travelling in London a whole lot easier and faster. Live in London or plan to visit soon? This is the essential app for you. Join the crowd who are travelling London efficiently.